Come hear from 25 investors in a single day at this fast-paced summit in Downtown Toronto in September 2019. 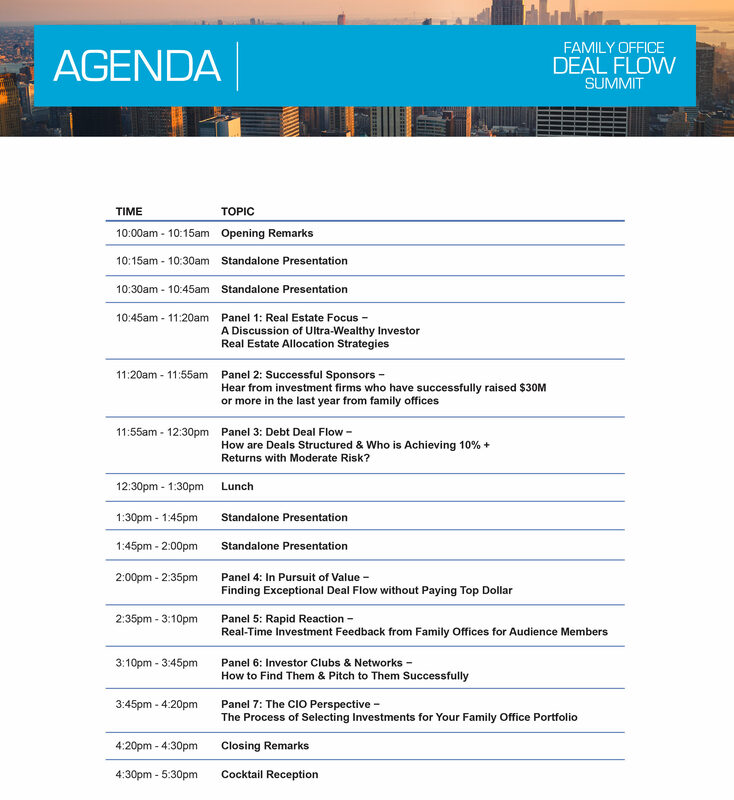 Family offices are constantly in pursuit of excellent direct investment opportunities and our annual Family Office Deal Flow Summit is the only conference that brings together family investors with off-market deal flow. For one day only, family offices, dealmakers, and private businesses will connect for one singular pursuit: to get a deal done. Attendees will also enjoy insightful presentations and panel discussions chock-full of real-world direct investing insights from family office investors. 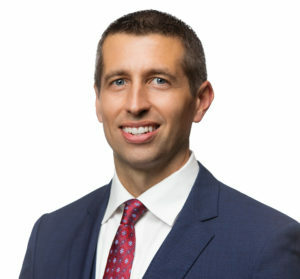 Build Your Family Office Co-Investment Network: Network with peers in the industry, build and reinforce strategic relationships and gain personal connections. Rapidly expand your relations with family offices who are looking for direct investments, co-investments and club deals. 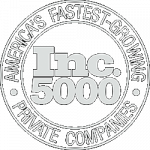 Learn How to Structure Deals: Our family office speakers have completed direct investments with some of the largest Fortune 100 companies in the world, and together have conducted well over $1B in direct investments, hold over 1,000 total patents, and represent billions in capital. Deal Flow & Due Diligence Best Practices: Discover step-by-step how family offices are attracting deal flow while still being discreet and private, and what standards are being followed while conducting due diligence on potential acquisition targets. 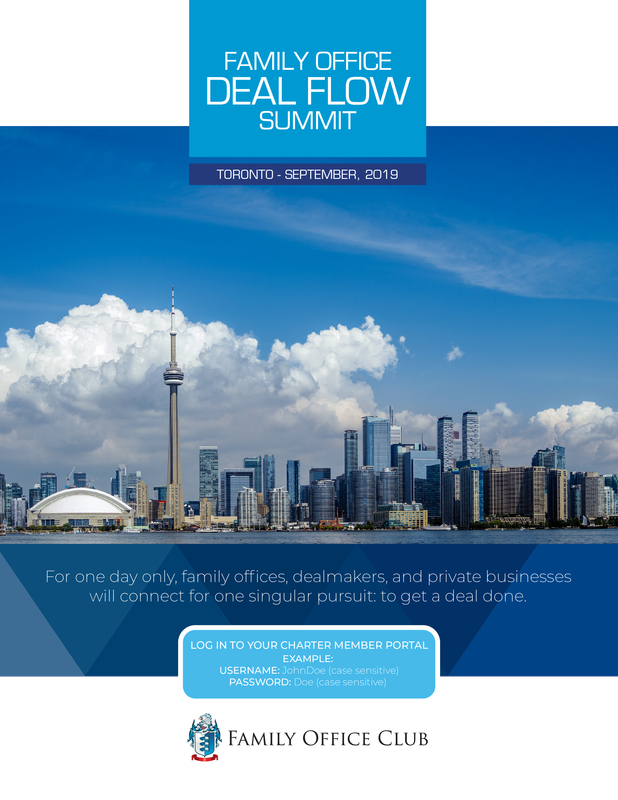 Admission to the Family Office Deal Flow Summit is limited to the first 175 participants, so if you would like to reserve your seat today please complete the form at the bottom of this page. 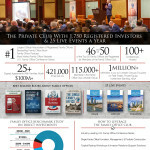 Attendees: Past attendees have included wealthy families looking to form a family office, single family offices, multi-family offices, real estate investment professionals, private business owners, hedge fund and private equity fund managers, investment bankers, private banking professionals, CPAs, attorneys, placement agents, third party marketers, and insurance agents. 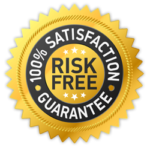 This event places an emphasis on direct investments and deal flow, thus participants are typically either representing a deal or looking to invest capital in a new investment. 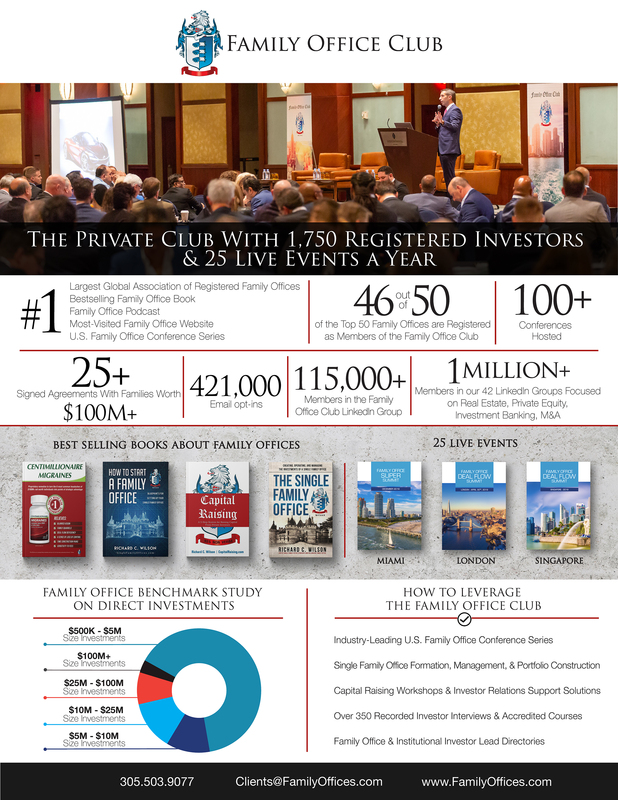 We look forward to meeting and networking with you at this family office conference and hopefully a few more of our events in 2019.